The rooms provided by the OOAK Hotel can be booked within a pocket-friendly price range. The hotel is located on the 12th Street near the landmark school Sigma 1 in Greater Noida. A colorful palette has been maintained throughout the room and some of the walls have been adorned with beautiful paintings. The other elements of color are the cushions provided along with the curtains which cover the large windows. The rooms are well-furnished and are quite spacious. There are large windows in the room too which are covered by boldly colored thick curtains. The notable pieces of furniture present in the room are the metallic chair and a strong wooden table. The additional features provided by the hotel are free Wi-Fi, parking provisions, a constant power backup source, card payment in all forms, laundry provisions and CCTV cameras. The front desk area is manned by experienced staff who help the guests in all possible ways. 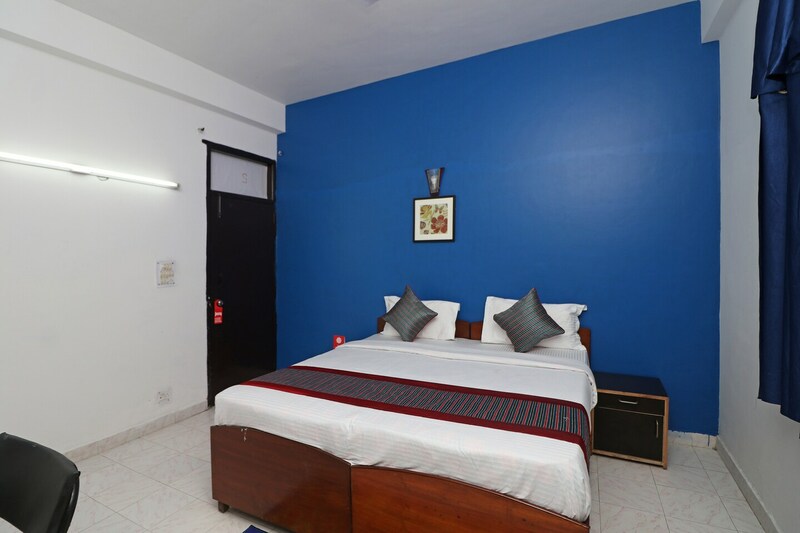 The hotel is close to a number of restaurants such as Annapurna Presents Ghar Ka Khaana, Fill Up, Kathi Junction, Domino's Pizza, and Haldiram's.